This entry was posted in Racing on February 6, 2011 by Steve Tilford. Lots of sport watching this weekend. KU basketball was on yesterday afternoon after the ride. Now today, I’ve already watched the race in Qatar and the Superprestige Cyclocross in Hoogstraten. Plus, the Super Bowl tonight. 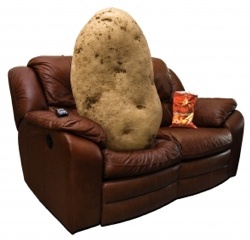 I would qualify as a couch potato today. It is not that cold out right now. In the 30’s. I’ve been getting in okay miles the last few days. But, it takes its toll. 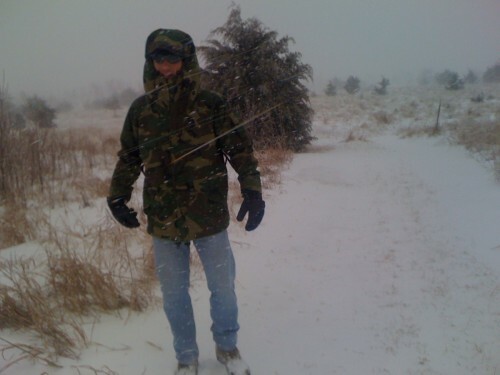 Riding in the cold zaps you pretty good. Napping is mandatory. I spray my bike off after every ride. If I didn’t, it would go the way as my brake lines on my van. There is so much salt on the roads. Not sure what I’m doing riding wise today. Yesterday we got in nearly 3 hours. Bill and I are pulling pretty much the whole time. It was pretty windy, as usual in Kansas. Michael Fatka once told me “it’s not the temperature, it’s the wind”. That is so true. Windchill is a made up thing, but I’d much rather be walking around at -15 degrees with no wind, than at 10 degrees with the wind blowing 40mph. Bill and I did that a few days ago dog walking in the country. It was nearly unbearable walking into the headwind. Okay. Routing for the Packers. I have too many ties to Wisconsin not to be. I have no idea who buys these, but I've been observing the display the last few days at the store and they are disappearing quickly. 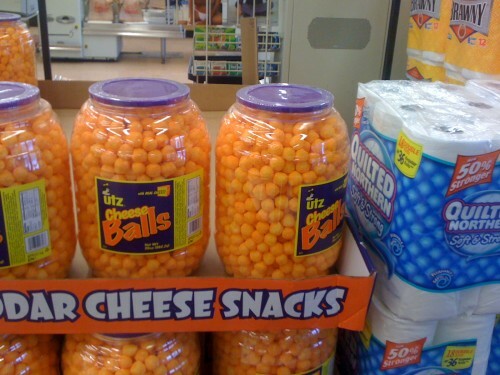 If you ate enough cheese balls, this is what you'd ultimately end up like. Bill on the dog walk. What most of the roads in the country look like. Completely white with salt. 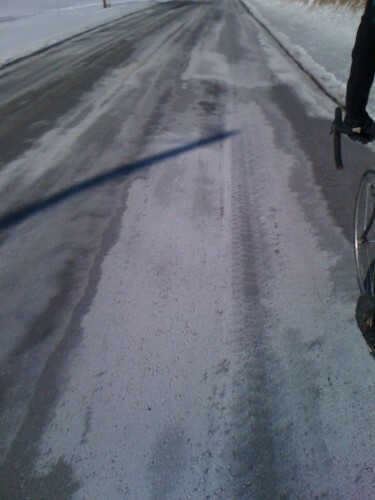 That’s a lot of salt, but at least your roads are clear. The roads in Arkansas are still covered in snow and ice. Only the major highways are clear and it took a few days for that to happen. That’s the brand i buy except i prefer Ultra Plush.